Fallout4 Nexus, CDante. 16 Mar 2019. Player Voice Frequency Slider (PVoFS). 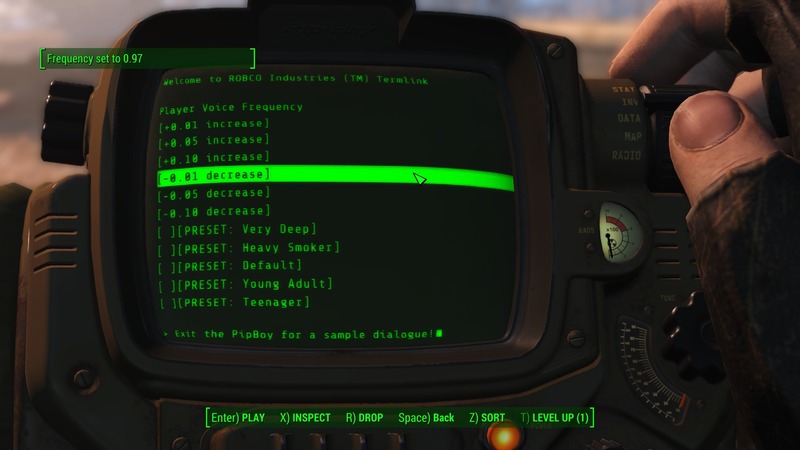 5 Apr 2018 <https://www.nexusmods.com/fallout4/mods/30953>.